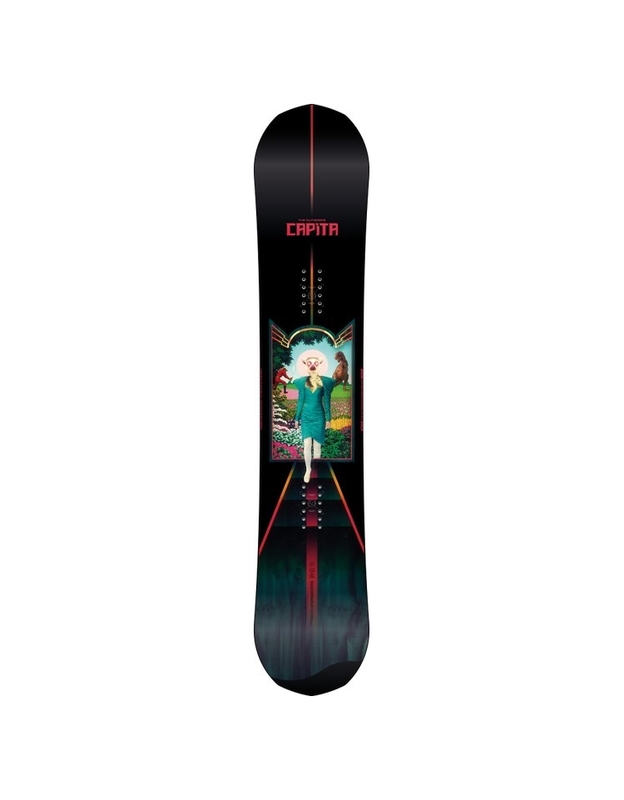 The 2020 CAPITA Outsiders snowboard is a high performance board designed to keep up with modern park riders, the guys that are hitting 100ft jumps for fun, flipping off rails, and throwing double corks off knuckles. The speed and stability required for these tricks is off the charts, which is why you'll see heavy duty park riders riding the Outsiders, featuring predominantly positive camber profiles, mid-stiff flex ratings, lightweight cores, and power increasing, shock absorbing tech. This thing also rips outside of the park, with positive camber providing super strong edge hold, with added flat camber at the contact points to hard carves without the catch. For 2020 the Outsiders has been upgraded with Technora + Flax fibre boosters, increasing the power and response of the board while keeping the weight low for easy aerial manoeuvres, as well as a faster base to have you flying higher. Pop, power, and lightweight performance, this is the board you need if you're going big in the park. 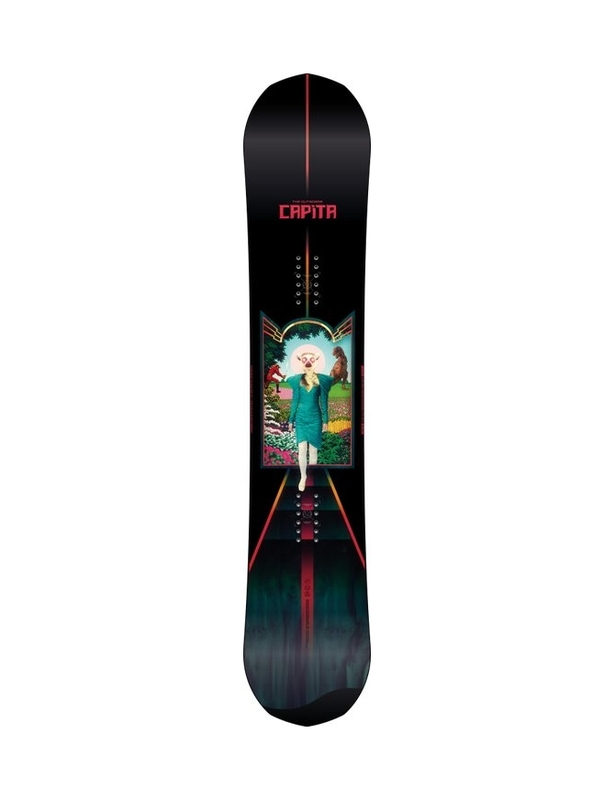 *Preorder - This board is scheduled for delivery to POW BOARDSTORE in early May. Please note, this is an estimate and may change depending on shipping/manufacturing. 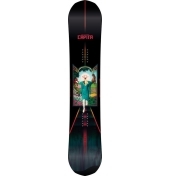 You will be notified once your board is ready for collection in store or once it has been dispatched. Positive Camber through the middle of the board with a small section of flat at the contact points. Get the power, pop, and stability of positive camber with less catch. Great medium flex that can hit big jumps, press rails, and ride all over the mountain. Constructed the same from nose to tail, this board will ride switch and regular equally well for controlled jumps, landings, turns, and spins. Built for highly technical freestyle riding all over the mountain, the P2 Superlight Core is designed to be extremely durable with maximum pop. Technora + Flax Boosters - 2 x 30mm strips of sustainable Flax fibres woven with Technora help absorb shocks while increasing power and response. Holysheet Fiberglass + Magic Bean Resin - Triax and Biax Holysheet fiberglass has a higher glass to weight ratio than regular fiberglass, providing a more powerful ride while staying light, and is then coupled with high performance, environmentally responsible, plant based Magic Bean Resin for a powerful and dynamic ride. Harder, faster and stronger than their normal sintered base, this upgrade for the 2020 model will keep you zooming.